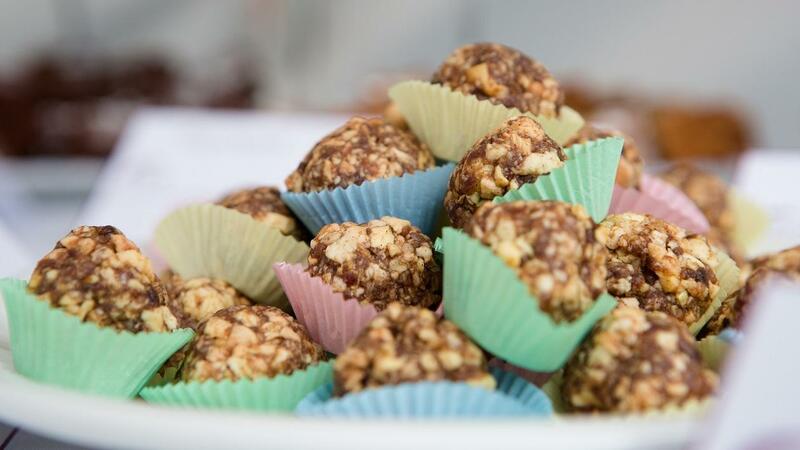 These power balls are packed with flavour and great for a grazing snack for residents living with dementia. Place the dried apples, dates and honey into a blender the blend until themixture becomes batter like in consistency. Add in the nutmeg, cinnamon and toasted pecans and continue to blend until the pecans are finely chopped. Once blended, scoop out 30g of the mixture and roll into balls.